With the initial orientation with basic counseling regarding your move and an orientation tour we will answer your questions und fulfill your wishes. In your search for the right real estate we can advise on the various residential areas, compile together with you a profile of your requirements – whether for rental or purchase – search for the right home, arrange viewing dates and accompany you to them. We help you with the application, handle contract negotiations, explain the contract to you, accompany you to the hand over and draw up a checklist for you. We will handle all registration formalities for you. We will complete the necessary paperwork and with your power of attorney also take care of visits to the authorities. We will register you with the Citizens Registration Office, apply for your Tax-ID Number or a change to the proper tax bracket, your internet connection, your registration for broadcasting fees or a parking permit. We advise you on the various public utilites and support you in opening a bank account, and in finding the right insurance. We will especially be helpfull in finding the best health insurance as well as in registering your vehicle. Also with the immigration process we stand by you with advice and assistance. We can contact the appropriate authorities such as the Foreigners’ Registration Office, the Federal Employment Office or your country’s embassy to apply for your visa, blue card, residency permit, work permit or german driver’s license. For families with children we can inform you of leisure-time activities, apply for child or parental allowance, advise you on schools, kindergardens or daycare centers, arrange for visits to the various facilities and accompany you there. Once you find the right facility we can assist you with registration and if necessary with the application for a daycare credit note. When it comes time for you to leave Berlin there is no need to worry. We are there to help you meet this new challenge. 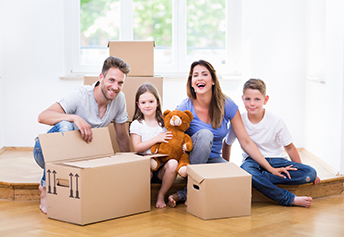 We will cancel your contracts, take care of deregistration formalities, terminating your lease and if necessary finding a new tenant and help in choosing the best moving company for your household goods. Don’t hesitate to mention any special wishes you may have. We provide allround individual services such as escorted shopping with advice and translation, arranging appointments, coordinating renovation and decorating work, looking for a garage, parking space or boat dock or finding household help, babysitters, au pairs, gardeners and much more.